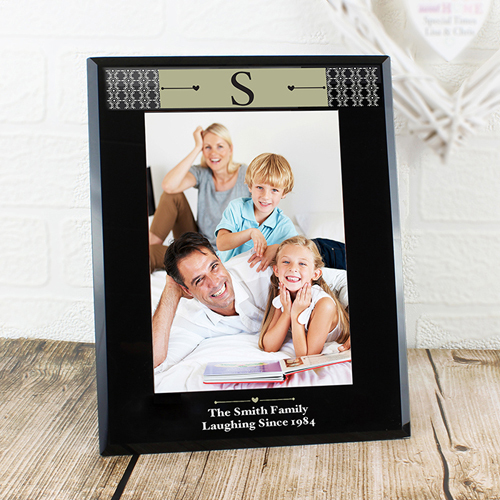 Personalise this Monogram Black Glass Frame with up to 3 initials, and two lines of up to 25 characters for a message below the photo. Frame is Portrait and holds approx. a 5"x 7" print. Ideal for Birthdays, Mothers Day and Christmas.